Any interested person may initiate the probate process on behalf of the estate. "Interested person" means someone with legal responsibility for the estate or someone who stands to benefit from probate. Although the executor named in the will usually initiates probate, an heir or even a creditor of the estate is entitled to do so. Probate is initiated when certain documents are filed with the state probate court with jurisdiction over the decedent's place of residence. Typically, this includes an application for probate, a certified copy of the decedent's death certificate and a copy of the will -- if the decent left a will. Once probate is initiated, the probate court schedules the first probate hearing. The person named as executor in the will must submit the decedent's original will to the probate court. The court examines the will to determine if it appears to be authentic and issues an order admitting it to probate if it finds no obvious defects. The court then appoints an executor -- normally, the executor named in the decedent's will. The court issues documentation to the executor that allows him to perform his duties, such as accessing the decedent's bank account or negotiating with creditors on behalf of the estate. Some states require the executor to publish notice of the admission of the estate to probate in a local newspaper. The executor is responsible for the day-to-day management of the estate, although he is ultimately subject to the authority of the probate court. The executor must perform a variety of functions. For example, he must catalog estate assets, collect estate debts, pay estate creditors, file tax returns for the decedent and the estate, liquidate estate assets if necessary to pay creditors or heirs, and distribute assets to heirs. Estate-related transactions may involve painstaking care -- returning a Social Security check issued to the decedent the day after his death, for example. The executor must also file periodic reports with the probate court. The probate court allows distribution of estate assets to heirs only after all estate debts have been paid. Estate assets may not be distributed until the state-mandated waiting period has expired. During this time, parties with claims against the estate -- creditors, for example, or would-be heirs who contest the validity of the will -- may assert their claims against the estate. 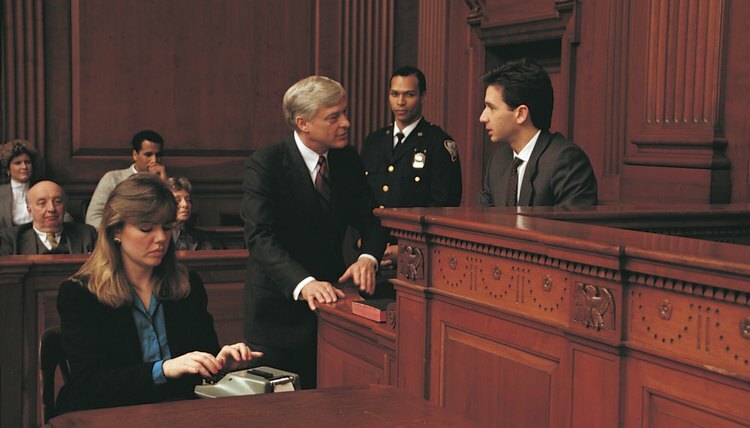 Claimants may call witnesses and present documentary evidence at a probate hearing. After all disputes have been resolved, the court orders the executor to distribute assets to beneficiaries -- by transferring cash into a beneficiary's bank account, for example, or transferring title to real property. Once all estate assets have been distributed, the probate court issues an order closing probate. If the decedent left no will, or if the probate court declares the will invalid for some reason -- for example, if nobody witnesses the signing -- the court will appoint an administrator who performs the same functions as an executor named in a will. Estate heirs are determined by state intestate succession laws. Generally, the decedent's closest living relatives inherit estate assets. In most states, a surviving spouse inherits the entire estate although some states reserve a portion of the estate for surviving children. If the decedent left no surviving spouse or children, more distant relatives inherit the estate. If no living relatives can be found, the state government takes title to estate assets. In intestacy cases, one of the administrator's primary functions is to locate surviving relatives. LegalMatch: Who May Initiate Probate? Probate is a legal process used to settle an estate. It includes determining whether the will is valid, notifying potential beneficiaries and creditors, making an inventory of the estate, paying any debts from the estate, and distributing the assets. The assets are distributed from an estate only after the bills have been paid and an inventory made. Some states require that the surviving family have a year stipend provided before creditors or beneficiaries are given a disposition of assets.